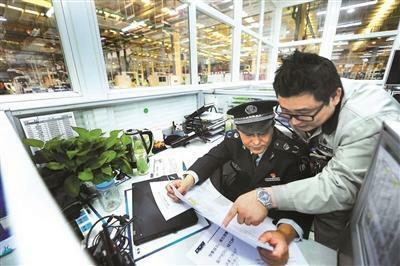 BEIJING, Jan. 24 (Xinhua) -- Beijing will shut down 500 manufacturing companies this year, to further move its non-capital functions out of the city, Beijing's acting mayor said Wednesday in a government report. More than 40 state-owned companies will be moved out of the city's major urban districts, Chen Jining said at the opening of the first session of the 15th Beijing Municipal People's Congress. Construction of new campuses at universities and hospitals, such as Beijing Technology and Business University, and Beijing Friendship Hospital, will be promoted in suburban areas, Chen said. Beijing plans to cap its population at 23 million by 2020 to address "big city diseases," including traffic congestion and pollution. To meet the target, Beijing has taken measures to move non-capital functions away from the city, such as relocating wholesale markets and closing polluting factories. He said Beijing will set up a three-year plan for the integrated development of Beijing, Tianjin and Hebei, a national strategy to balance the development of the three regions. Beijing will also support the construction of Xiongan New Area, a new economic zone in Hebei Province about 100 kilometers southwest of Beijing. China announced plans for its establishment last April. It is expected to facilitate integrated regional development. "We will support whatever Xiongan New Area needs," Chen said.